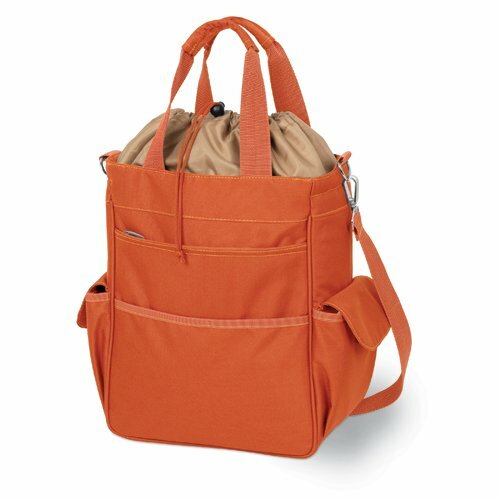 The Activo water-resistant tote has a fully insulated compartment that provides plenty of room for your food and drink items. The tote's exterior is made of durable polyester in burnt orange and the interior is made of heat-sealed PVC for no leaks. All materials used exceed federal and state safety regulations, so you can be assured the Activo is safe. The Activo is ideal for the beach, sporting events, or long trips in the car. It can also be used for transporting cold items to and from parties, or frozen goods home from the store. Spacious pockets provide additional storage and convenience. Versatile and stylish, this bag is one the whole family will love!